LANSING, Mich. — Legislation recently introduced in the state Senate and House of Representatives would save the 95-A District Court Judgeship in Menominee County from elimination. Senate Bill 87 and House Bill 4161 would reverse the 2012 action to eliminate the position, effective this March 31. The 2012 law eliminating the position was based on a State Court Administrator’s Office (SCAO) Judicial Resources Recommendation (JRR) calling for the removal based on data and statistical analysis from 2008-2010. Sen. Ed McBroom, who sponsored SB 87, said statistics now show the situation has changed, validating concerns he expressed in 2011 with eliminating this position. “The past eight years have seen felony filings in the Menominee District Court significantly increase,” said McBroom, R-Vulcan. “I am grateful that the Senate and the SCAO are open to maintaining this judgeship and appreciate the county working collaboratively to ensure we are responsive to local needs. State Rep. Beau LaFave, R-Iron Mountain, who sponsored HB 4161, said, “With only 11 judges available now to handle nearly half of all U.P. cases, eliminating one while felony filings are on the rise would only worsen the imbalance that already exists. We must take action immediately to preserve this judicial resource and the due process rights of U.P. residents. 41st Circuit Court Judge Christopher Ninomiya, a proponent of the legislation, spoke of the importance of the bill. 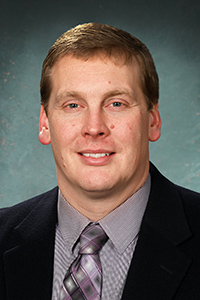 McBroom said there is strong support for the bills from local officials in Menominee and Dickinson counties, who have each passed resolutions in support of the judgeship and have pledged to provide necessary overhead and clerical support if the position is retained. State Reps. Greg Markkanen and Sara Cambensy and the U.P. Judges Association are supportive, as is the SCAO, which voiced its support for the proposal given the changing situation. The Senate Judiciary and Public Safety Committee will hold a hearing on SB 87 on Thursday, and McBroom is inviting residents to testify before the committee via video conference. Those interested in participating should report to the Dickinson County Circuit Court, located at 705 S. Stephenson Ave., in Iron Mountain. The committee will begin at 9:15 a.m. Eastern Standard Time. HB 4161 was referred to the House Judiciary Committee for consideration.